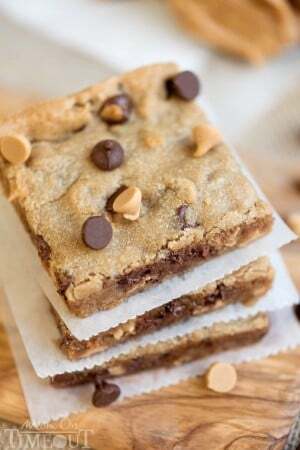 Once you make these Slow Cooker Peanut Butter Brownies – you’ll never make brownies in the oven again! 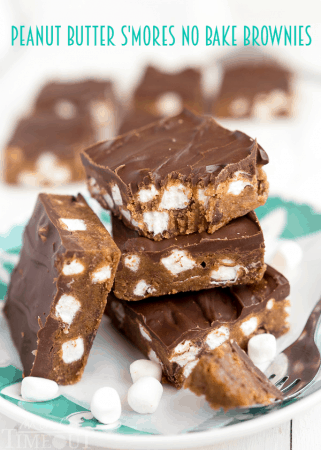 Seriously, the best brownies EVER and the recipe is SO easy! I’m about to blow your mind with this amazing brownie recipe but first I have to tell you what blew my mind this weekend…. I’m heading to Chicago next week for BlogHer Food. I’m going to be gone for 4 days and I’m super excited to leave and actually experience some fall weather because Sacramento just isn’t getting the memo. I jumped online and ordered some new clothes for the trip and was trying to pick out cuter clothes than I might normally wear – you know, something OTHER than yoga pants. I got a number of cute tops (more than I’ll actually need) and some new jeans including a pair of distressed jeans. This is my first pair and I totally thought I was being all trendy and cute until my boys started making comments. And then finally, and here’s the kicker, my son Reece, age 9, says to me “I’ve seen some teenagers wearing jeans like that when they’re trying to look hot.” HOT. This is a word I didn’t even know was in my son’s vocabulary and WHERE are these teenagers he’s been seeing? Chris said the look on my face was priceless. Reece’s face? Beet red. I think this is a sign that I should go back to yoga pants, no? Anyhoo. 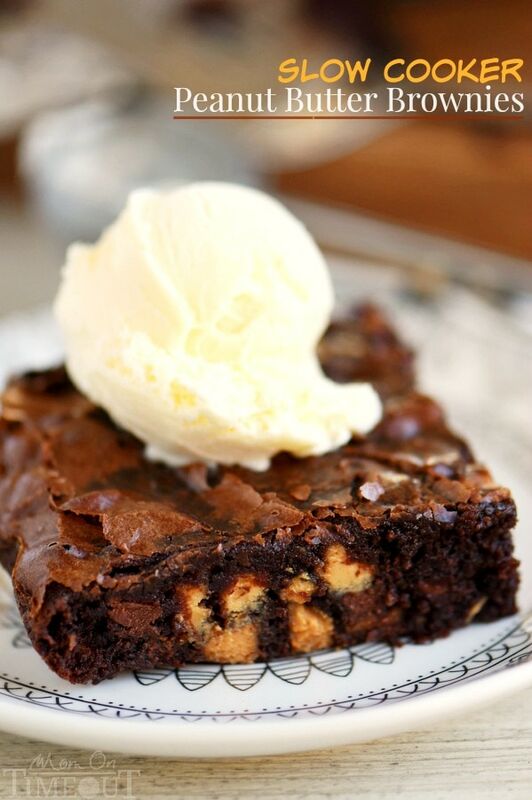 Let’s talk brownies for a bit, shall we? Brownies are what cheat days were made for and once you’ve made them in the slow cooker, the oven will be forever ruined for you. 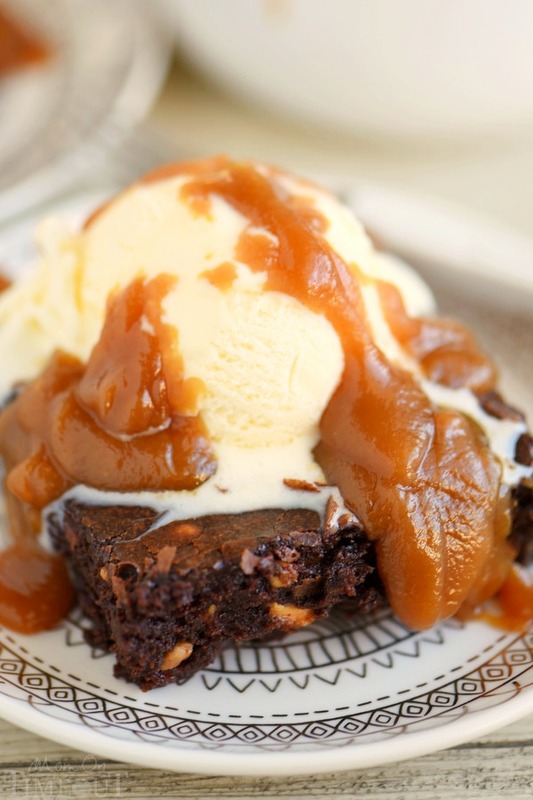 Slow cookers are magical machines – especially for desserts. The idea of steaming your brownies may sound a bit odd but trust me, what it does is turn your brownies into the MOST decadent dessert ever. Incredibly moist, and perfectly cooked, you can easily make these brownies to your exact liking. Cook them 30 minutes less for a gooier brownie, or 30 minutes more for a more cake-like experience. The slow cooker is incredibly forgiving and eating hot brownies out of the slow cooker on a fall day, in your distressed jeans, is my idea of paradise. My boys insisted on a scoop of ice cream with their brownies and who can blame them. 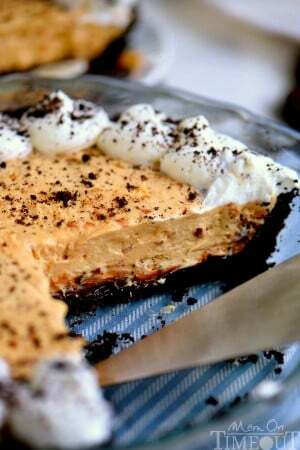 I took it one step further and made a peanut butter sauce to go on top – addicting! Many people question the legitimacy of using a slow cooker for desserts. For example, why would I cook my brownies for 3 hours in a slow cooker when I can have them in 45 minutes from the oven? Here’s why – using the slow cooker frees up not only your oven but it frees you up as well! This is the perfect dessert to make when guests are coming over because the three minutes of work that it takes to make these brownies is done HOURS before anyone comes over. Plenty of time to wash that bowl! The brownies are good for HOURS after they’ve finished cooking – just keep the lid on and let your guests serve themselves at their leisure. And finally, brownies in the oven simply do not compare to brownies cooked in the slow cooker – not even close! Just try this ONE TIME and I know I will convince you! Once you make these Slow Cooker Peanut Butter Brownies - you'll never make brownies in the oven again! 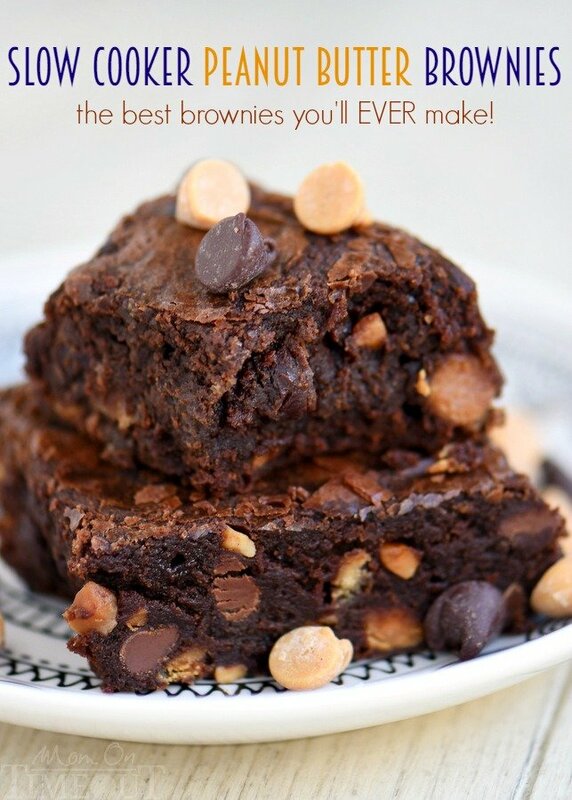 Seriously, the best brownies EVER and the recipe is SO easy! Whisk together melted butter and peanut butter until combined. Whisk in sugar, cocoa powder, eggs, and vanilla extract. Stir in flour and salt just until combined. 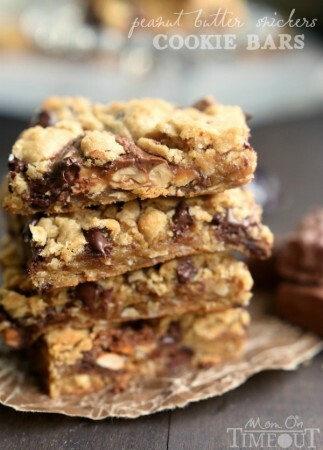 Fold in chocolate and peanut butter chips. Pour the batter into the prepared slow cooker and spread evenly. Place a paper towel in between the lid and the insert when covering. This keeps the steam from dropping back onto the brownies. Cook on low heat for 2½ to 3 hours. The brownies are down when the edges are set. Serve hot or cool to room temperature. Combine all the ingredients, except for the vanilla extract, in a medium sauce pan. Cook over medium heat, stirring frequently, until all the sugar has dissolved. Remove from heat, stir in the vanilla extract and let cool slightly before serving. I’m definitely going to make these as they look so scrumptious, but I’m worried about the sauce. It looks thick and gloppy, instead of silky smooth. Should I go with it and I’ll thank you later, or should I add more cream? I made these brownies the other day and they were delicious although very (almost too) sweet. I also cooked them for 3 hours on the 10-hour low setting (my slow cooker has an 8-hour and 10-hour option on the low setting), and the brownies were almost under cooked in the center, although the edges did get hard. I am going to make this recipe again but cut back on the sugar and cook it on the 8-hour option. Thank you for sharing this recipe! Didn’t even know you could make brownies in the slow cooker!  Look forward to making other yummy treats from your site. 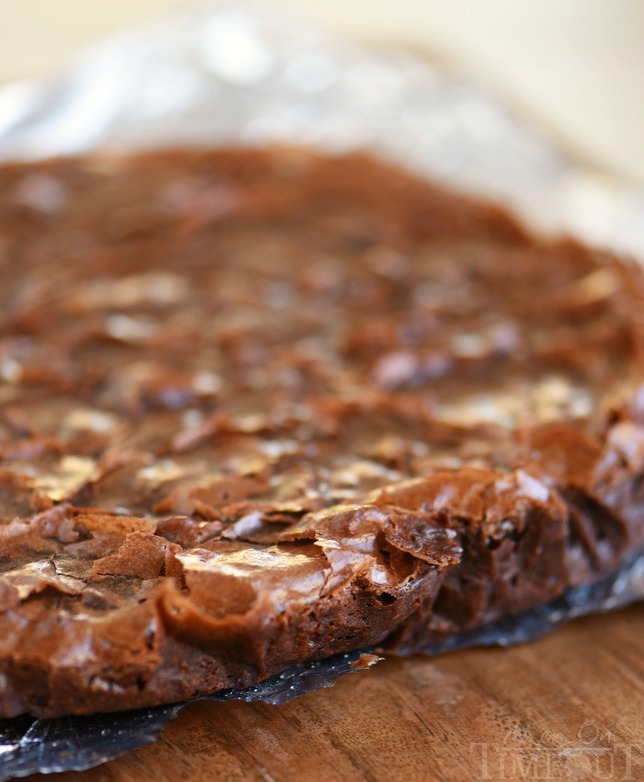 The brownies definitely turn out more gooey in the center Aleks – it’s just how the slow cooker operates. Glad you enjoyed the recipe!! I never realized slow-cooker brownies could happen. These look amazing!! Trust your kids to ask you questions about your clothing choices that are not at all fun to hear. But it’s true that teenagers do like distressed jeans, but so do a lot of adults. So you’re cool. Have fun at the conference! I’ll be wearing my distressed jeans with you!! 🙂 Love these!